"The Bully Boss Strikes Again!" 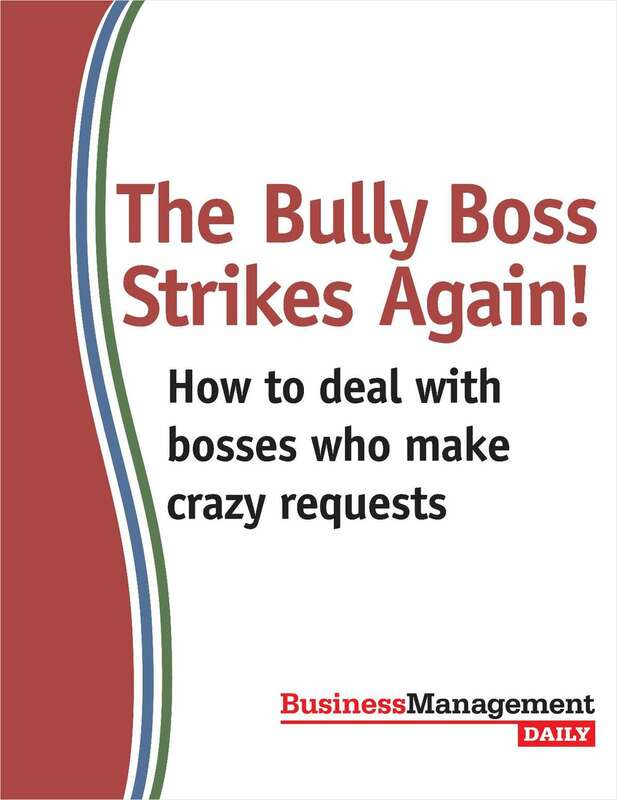 Free Report: "The Bully Boss Strikes Again!" How to deal with bosses who make crazy requests.